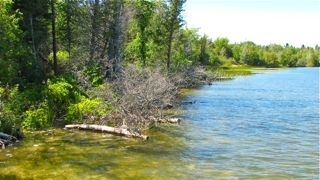 Be our guest at one of the newest Rentals on a Michigan Lake offered by Blue Lakes Vacation Rentals. Maybe you weren't born in a barn, but why not vacation in one. 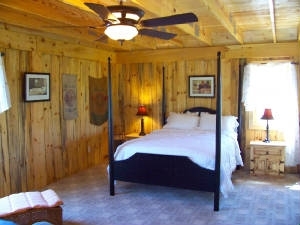 Creatively designed and decorated to resemble a barn, but comfortable and cozy with a touch of class. 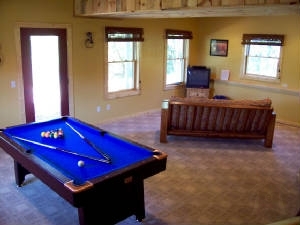 The vacation home is also setup with the family in mind, with separate areas for adults, and little ones alike. 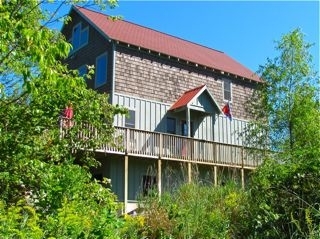 Enjoy panoramic views of Upper Herring Lake from the 3rd floor. This huge 2600 sq. ft. home is in a word, FUN ! 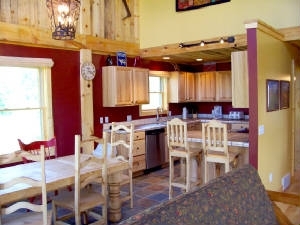 Located on all-sports Upper Herring Lake with 140' of private water frontage, this five bedroom, two bath Rental on a Michigan Lake sits on 2.5 acres on a quite, peaceful country road surrounded by a perfect blend of rolling hills, woodlands, orchards and vineyards. Privacy and elbow room await you in this beautifully decorated accommodation home. 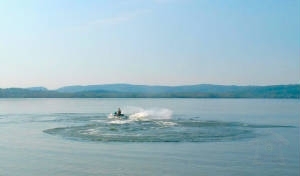 Just minutes from Lake Michigan beaches, Frankfort and near many of Northern Michigan's premier vacation rental spots such as The Sleeping Bear Dunes and Traverse City.